These drawings were not demos. 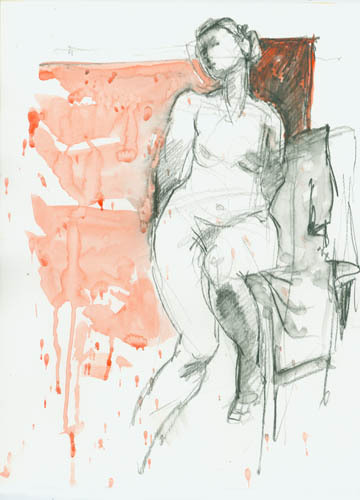 I encourage my students to take risks when they work from the figure. 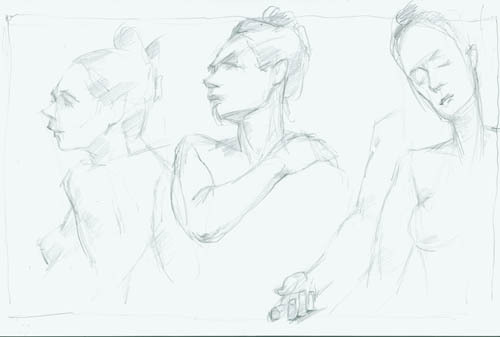 When we have a model, I sometimes do some drawing myself. I want to show how scribbly my own work is and how I leave every line without erasing. The quest for perfection is paralyzing and perfection itself –well, we don’t even know what that is, but I can tell you it’s boring. Above, three quick head studies in pencil, 11 x 17. 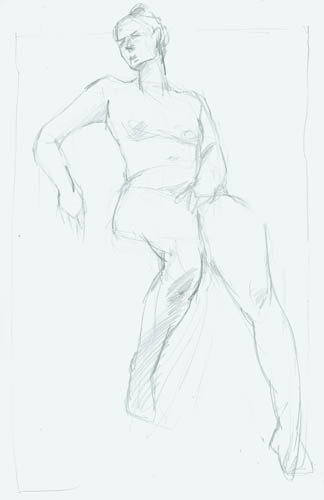 A figure study, pencil, 11 x 17. 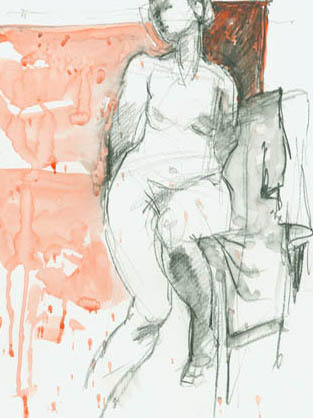 Figure study in Aquarellable Pencil and watercolor wash, on index (non-glossy), 11 x 14. Let’s crop that last one. So much more immediate and engaging. As a writing teacher one of the first things I say to my students is a quote from “Bird by Bird,” by Anne Lamott. Thanks for reminding me that it will also apply as I learn to draw.